John Mikel Obi ready to sacrifice for Super Eagles – Royal Times of Nigeria. 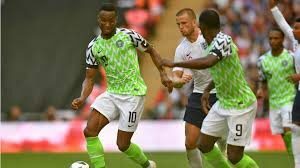 Nigeria captain John Mikel Obi says he will play anywhere on the pitch if that is what it takes to help the Super Eagles win. Chatter in the media and among fans after the Croatia loss has been that Gernot Rohr wrongly deployed Mikel as an attacking rather than a defensive midfielder in the 2-0 defeat. José Mourinho, who coached Mikel through his formative years and all the way to maturity while at Chelsea, added more fuel to the fire by saying that Nigeria “lost a great 6 to get a bad 10”. In response to a question at Nigeria’s press conference on Wednesday, Mikel said the conversation was academic, but he would gladly play anywhere for the good of the team, starting with tomorrow’s game against Iceland. However, Mikel pointed out that winning games is more than just about playing positions. 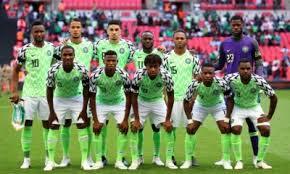 Rohr agreed with his captain, and pointed out that if the team had lost with Mikel playing in attacking midfield, there would have been questions as to why he changed a winning formula. Mikel said the team have put the Croatia loss behind them and were now focused on winning against Iceland and keeping their tournament alive.